Home » Uncategorized » SWANAGE REGATTA & CARNIVAL 2014. SWANAGE REGATTA & CARNIVAL 2014. Are you looking to enjoy the summer in the South Coast of England? 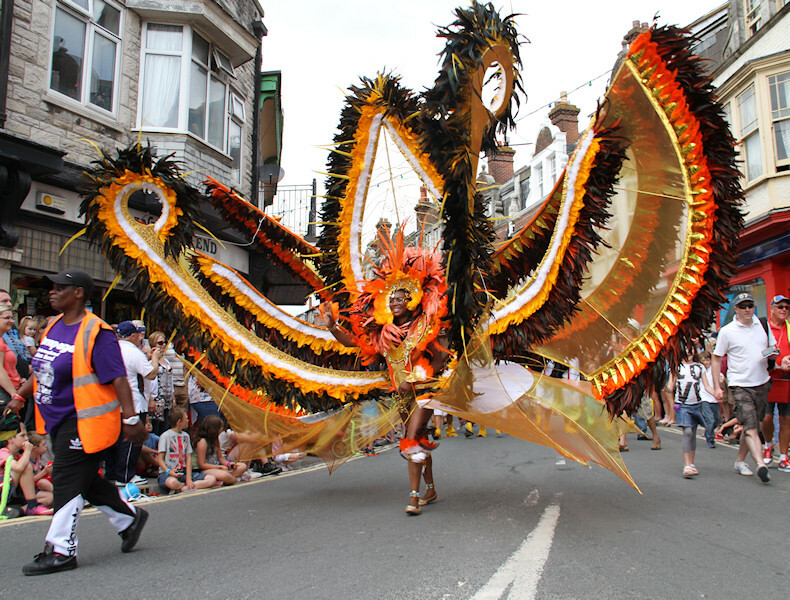 Then, Swanage Festival and Carnival is your best option, because it is the South´s number 1 Carnival. Once a year the carnival comes to town at the start of August. This year, Swanage Carnival is from Saturday 26th July to Saturday 2nd August. For one week at the end of July Swanage becomes into a crowded town, due to being an attraction which has many offers to chose from and enjoy, such as the great two mile carnival procession, live bands playing in the carnival marquee, fireworks displays, talent shows, treasure hunts, art competitions, parachute jumps, so many water and land sports, and most spectacular, the air display, which is one of the more famous attractions. There are about one hundred events in total, but I will talk about the essential ones which you shouldn’t miss out on. There will be three amazing firework displays on 26th, 30th July and 2nd August. The Carnival Firework displays are a spectacular show, lighting up the sky over the bay and reflecting in the water, they are one of the highlights of Carnival Week. 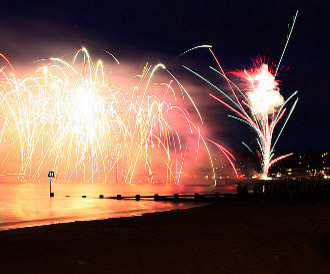 You can watch the firework displays from so many places, such as the beach, the seafront, the Pier, Recreation Ground, Sandpit Field, or near the Old Stone Quay. I hope you enjoy the fireworks as much as I do! What a pity! Unfortunately, this year The Red Arrows are unable to visit Swanage due to commitments. But, do not panic! 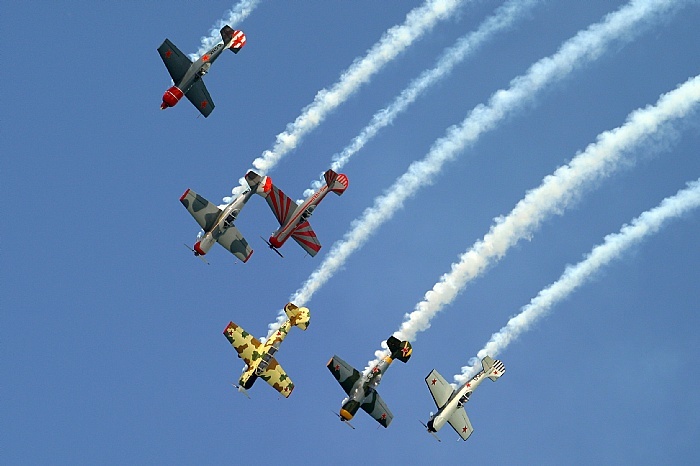 The Aerostars Aerobatic Display Team is on its way, and they will surprise us with several tightly-choreographed aerobatics, thunderous radial sounds and magnificent smoke effects. Can´t wait to watch them in action! It is the funniest and the more different race, of the festival that you will ever see! Each team of two, wearing a fancy dress, has to go through a designated route of several pubs, while one member of the team, pushes the other member who is sitting in the wheelbarrow. Not only does one of them have to push the other one, but one also has to drink what has been provided. This could be a shot of Vodka, beer or something similar. So hilarious! 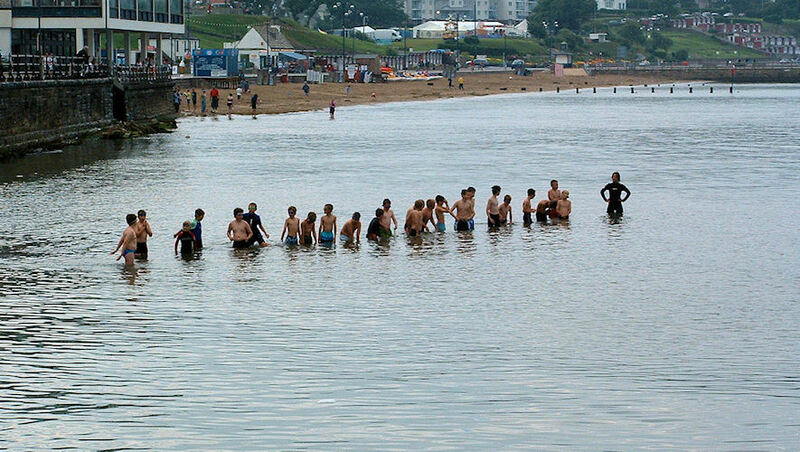 The bay swim is one of the most popular and competitive events during Swanage Regatta and Carnival. It is an event for everyone because the Bay Swim includes competitors from 11 years old to the masters of the sea like a Olympic champions who take part in it also. So if you want to have fun or use it just for training, you should join in. Be careful with the tide and waves however! Have you got any special talent? or can perform something unusual maybe? 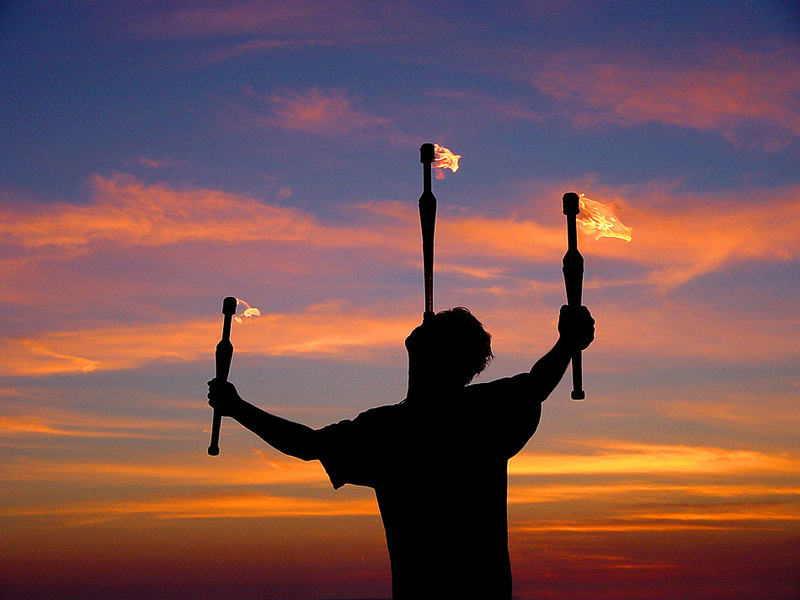 Can you dance, sing, juggle or can you perform something slightly more unique? Then, this is the perfect opportunity to show off your talent and amaze everyone! Don’t miss the chance to participate! There are two different categories in this competition. Have a look before you join in! Good luck! Lastly, I would like you to know that there are many varied events for children and adults in Swanage Regatta and Carnival Festival, so if you baring this in mind, please visit the website event http://www.swanagecarnival.com or download the program online. I hope you have a great time in Swanage!!! By worldchoiceeducation in Uncategorized on July 24, 2014 .